It takes approximately 4 hours to drive from San Jose. Take Highway 32 to Limon. In Limon, turn south onto Highway 36 at the Texaco gas station on your right. There will be signs to Puerto Viejo. To reach Manzanillo, just continue as far as there is a road! It is easy to rent a car and we recommend www.thrifty.com and www.poasrentacar.com. An air conditioned van service that provides door to door service from San Jose to any town in Costa Rica. 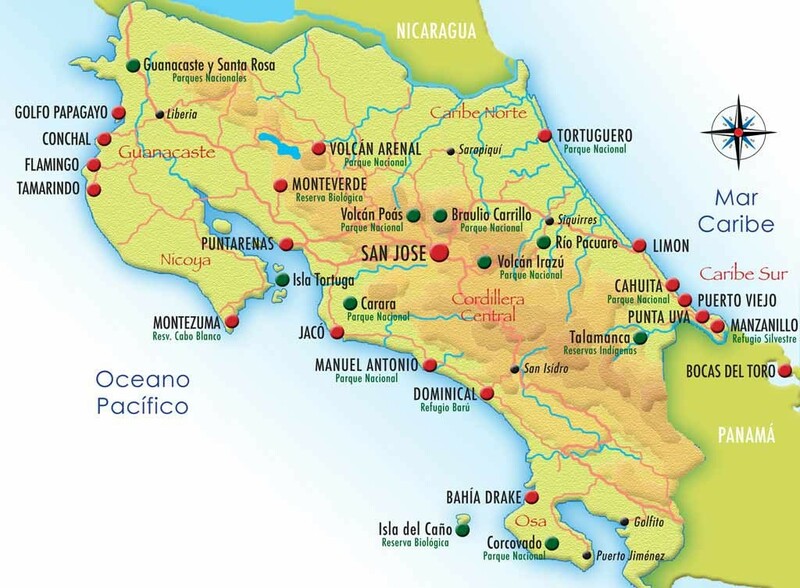 The price for San Jose to Manzanillo is around US$35 www.interbusonline.com. There are buses going to Puerto Viejo 4 times a day from San Jose’s Gran Terminal Caribe. It goes to Manzanillo just once a day. The cost is around US$8.00. You can find out all the bus times for the entire country at www.thebusschedule.com/cr. From San Jose to Limon and then a taxi from there to Manzanillo www.natureair.com. This can be an expensive option but is possible. The journey takes approximately 4 hours from San Jose.